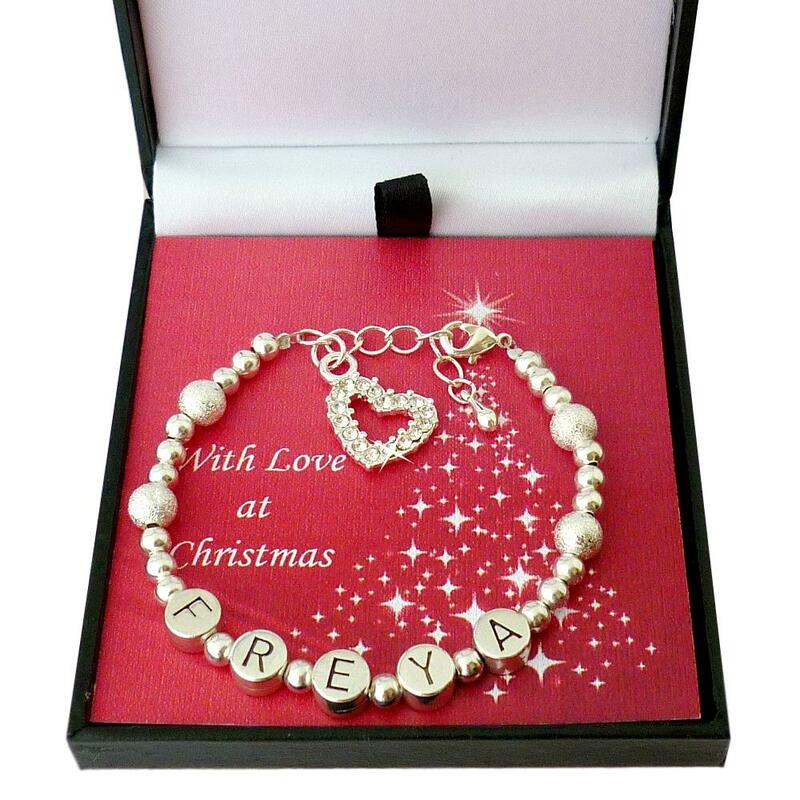 This gorgeous girls name bracelet has been specially designed with Christmas in mind. Each bracelet will be individually handcrafted with any girls name of your choice and presented in the Christmas gift box with little Christmas gift card for you to write on. Made with 4mm silver plated round beads interspersed with 6mm stardust beads and with a sparkly heart charm encrusted with beautiful crystals. Each personalised name bracelet is size adjustable so if you are buying a surprise jewellery gift for a girl and don't want to have to measure her wrist you can still be assured of a perfect fit. The pewter letter beads are a great alternative to the more expensive silver beads. They will still polish up to a mirror shine for many years to come. A lovely personalised bracelet for any special little girl who loves personalised jewellery! Part of our range of personalised bracelets including Bracelets with Names and Bracelets with Engraving. 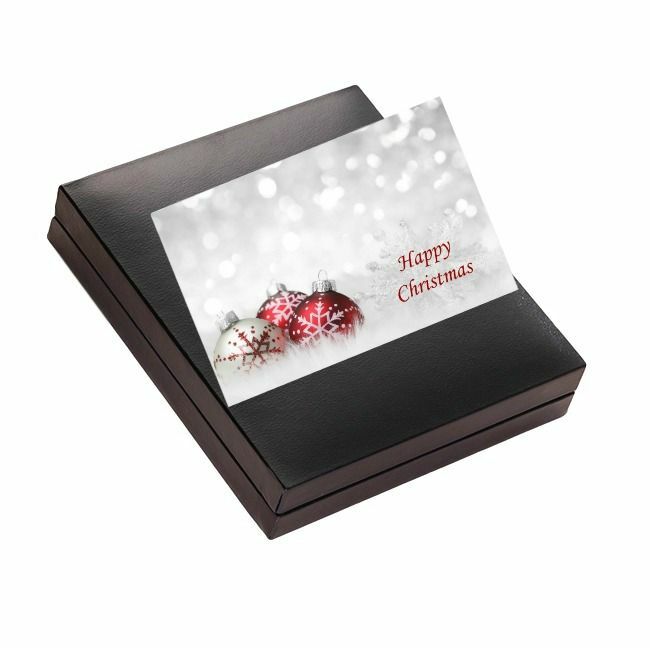 Supplied in the Christmas gift box shown with the little gift card for you to add your own personal message. Children's Sizing: We have a standard size for each age from baby girl to age 16. We are also happy to make to measure if you prefer. Please see our size guide for more information. See more Christmas Jewellery Gifts for girls.